The Adarsh Housing Society is situated in Colaba, Mumbai and it is a 31 storey building constructed in a prime real estate location. 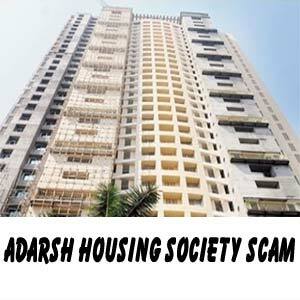 The Adarsh Housing Society was mainly constructed for the welfare of war widows and personnel of India's Ministry of Defence. 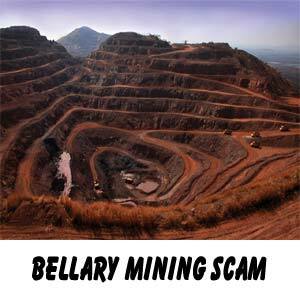 The Bellary mining scandal involved the three mining baron brothers from Karnataka. The Bellary mining also led to the resignation of the then chief minister B S Yeddyurappa who was responsible for a loss of about Rs16, 085 crores for the state government. 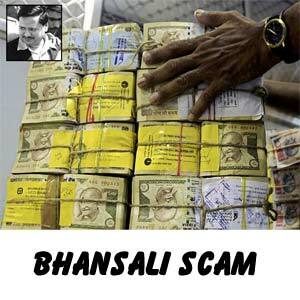 Bhansali scam took place in the year 1995 which is worth Rs 1,200 crores and the key person involved in this businessman was Chain Roop Bhansali. Between the periods of 1992 - 1996 Chain Roop Bhansali was running a lot of financial firms. 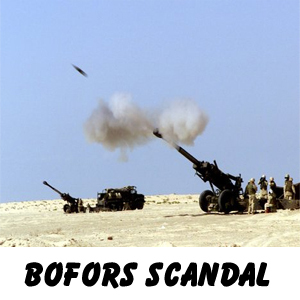 The Bofors scandal is supposed to be stamping on the Indian Political corruption. The scandal is all about when the Indian Defense Ministry had to buy Howitzers for its army's artillery units in March 1986 from AB Bofors, Swedish manufacturer. 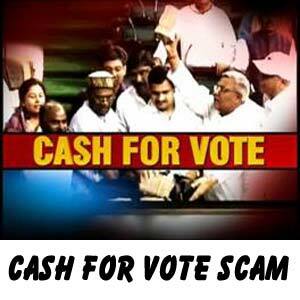 The cash for vote scandal is once again a major scandal in the history of independent India which involved the then majority-holding parliamentary-party alliance of India headed by Sonia Gandhi and the United Progressive Alliance supposed to have bribed the member of Parliaments of the Bharathiya Janata Party. 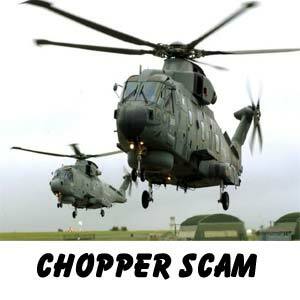 One of the latest scam in India is the Chopper scandal which is better known as Choppergate. The Chopper scam is all about the politicians and the defence officers against whom charge sheets have been filed for accepting illegal money from Augusta Westland in clearing an agreement. 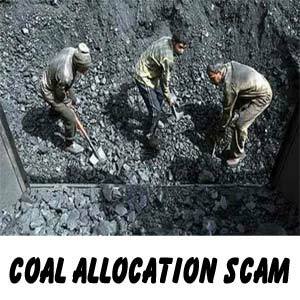 The Indian coal allocation scam more popularly known through the media as Coalgate is one of the major controversy in the year 2012 which has led to the consequence of extensive torment among not only the people but also among the anti-corruption protesters. 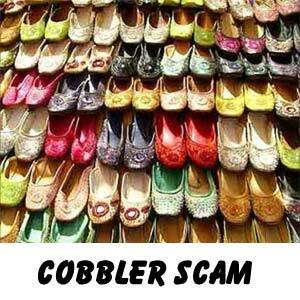 One of the biggest scams that have happened in the Indian history is the cobbler scam which involves money worth several multi million dollars. This was most popularly discussed as the Great Cobber scam. 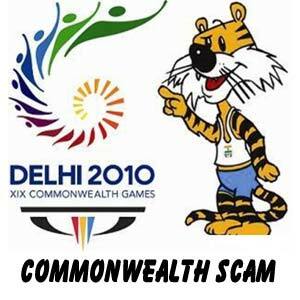 The Commonwealth Games scam conducted in the year 2010 in New Delhi is one of the most well known scam of India whose main accused being Suresh Kalmadi, the chairman of the Organizing Committee of the Commonwealth Games. 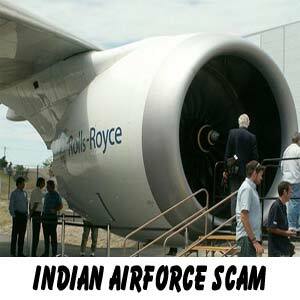 The Commonwealth scam involves a pilferage of about nearly Rs 70,000 crores. One of the top performers in the field of software and IT services was DSQ Software Ltd, in Chennai India was established in the year 1992. Initially when the company was established it was known as Square D Software Ltd but later as it got graduated in its field the company changed its name in the year 1997 to DSQ Software. 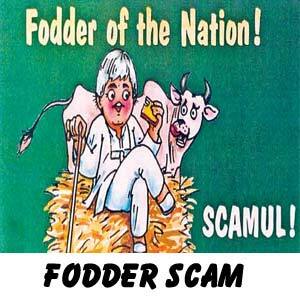 The fodder scam broke out in 1996 and it involved the apparent misappropriation of nearly Rs 950 crores from the treasury of Bihar government. 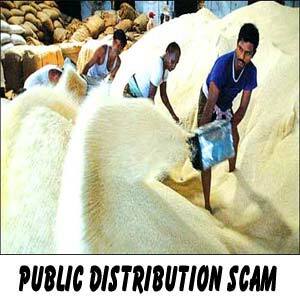 The fodder scam involves big heads mostly the government officials of the Bihar State Government and also a number of elected officials of various administrative departments of Bihar state. 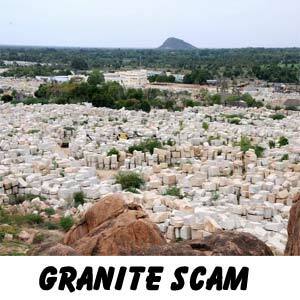 The granite scam which came to light in the year 2012 is one among the major scandals in Madurai, in the state of Tamil Nadu. This scam involved the forbidden quarrying of granite in the nearby area of Madurai district. The granite scam was exposed to the public when the then collector of Madurai district sent a report on this illegal activity of quarrying to the Chief Minister's office. 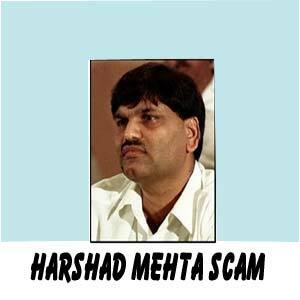 The name Harshad M Mehta was in the focus of public attention in the year 1992 with a number of financial crimes charged on him. Harshad Mehta was an Indian Stock broker who was purported for a huge stock deployed scheme bankrolled by insignificant bank receipts, which his company negotiated in ready forward transactions between banks. 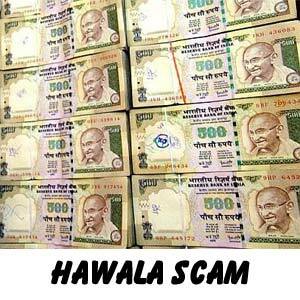 The Hawala scandal or the scam was all about Indian political scandal which involved money reportedly got by some powerful political figures and bureaucrats, between February 1988, and April 1991 through Hawala agents namely, 4 Jain brothers the main person being involved one Surindra Kumar Jain . One scam in the series is the Indian Space Research Organization's which was kept under the hat for nearly 6 years and only later hatched out its secret. 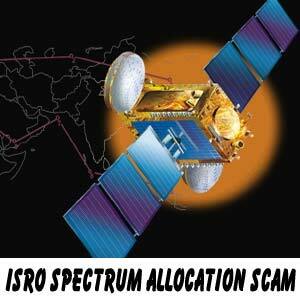 ISRO spectrum allocation scam involves the process of allocating the S-band spectrum by ISRO-arm Antrix. Another scam which hit the history of Indian defense department which came into public notice in 2012 when the then defense minister A.K. Antony for an investigation into the scam by the Central Bureau of Investigation. The defense minister A. K. Antony ordered to probe into the reported bribery in a deal worth thousands of crores. The National Rural Health Mission more commonly known as NRHM is a central government program designed to refine and boost the health care delivery which was concentrated in the rural areas. 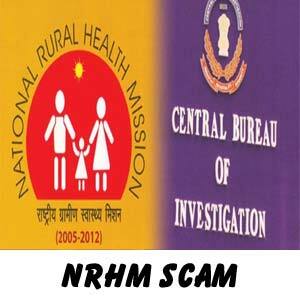 Soon this National Rural Health Mission program came up to be a corruption scandal in the state of Uttar Pradesh. 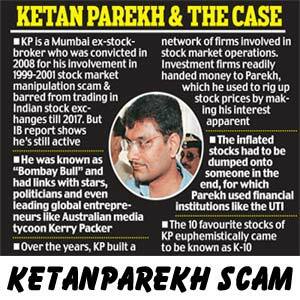 Ketan Parekh, a trainee of Harshad Mehta from Mumbai was a former stock broker who was declared to be guilty of a criminal offence by the verdict of the jury for he played a major manipulative role in the Indian stock market scam which took place between 1999- 2001. However now he has been barred from trading in the Indian stock exchanges till 2017. 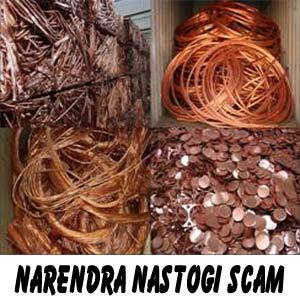 Viren Rastogi an influential UK based businessman and his group of brothers all major businessmen in the field of metal trading globally were charge sheeted for fraudulent activities and duping nearly 20 banks including West LB, JP Morgan Chase and Dresdner Bank. This also includes banks in India. The former Chief Minister of Arunachal Pradesh Gegong Apang is reportedly accused for his involvement in the Rs 1,000-crore public distribution system scandal and was placed in police custody for a period of seven days. At the time of Gegong Apang arrest he was 61 year old and he was charged on various grounds like for cheating and forgery under IPC. 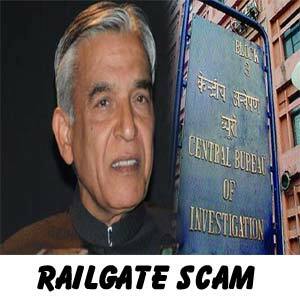 The Railgate scam reveals the fact that Vijay Singla nephew of former Railway Minister Pawan Kumar Bansal was charged and arrested by the Central Bureau of Investigation officers for apparently accepting illegal money or bribery of RS 90 lakh from a member of the Railway Board . 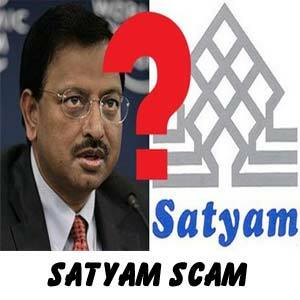 The scam caused by the Satyam Computer Services Limited, leading IT company of India is one among the biggest scandals of a corporate firm in India which caused a huge loss to the investors of about nearly Rs.14, 162 crores. Ramalinga Raju the Chief Executive Officer of Satyam computers is the main accused in the scandal. 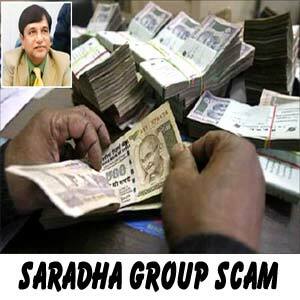 IA Kolkata based Saradha group of companies whose chief is Sudipta Sen has been reportedly accused for its multi crores chit fund scam where it has cheated its lakh of investors both poor and rich. Saradha group has more than 150 firms registered with the ROC (Registrar of Companies) and deal with a number of business like real estate, automobile, education and entertainment. 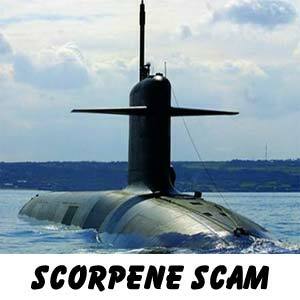 The Scorpene submarine scandal is once again a black mark to India which involves a bribery of about Rs. 500 crores which has been reportedly said to be paid to the deciding authorities of the government by Thales, a French based company who were the makers of the Scorpene submarine. 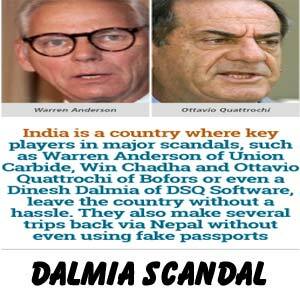 This is a financial scandal involving the Indian Government and the Canadian Company SNC Lavalin. 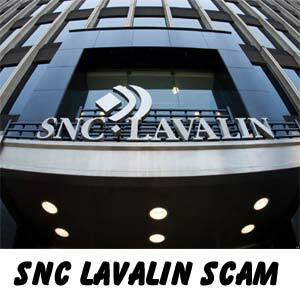 This was a formal business between the Canadian Company SNC Lavalin with the Indian government reporting a net loss of 3745.0 million to the exchequer. This business dealing was about the renovation and upgrading work of the hydro electric power stations at Pallivasal (37.5 mW), Sengulam (48 mW) and Panniar (30 mW). 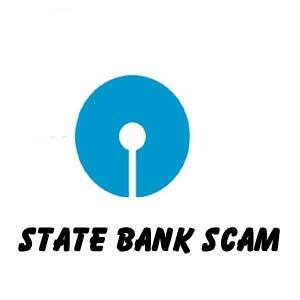 State Bank of Saurashtra scam is nearly seven month old scam which happened in the year 2008. State bank of Saurashtra was one of the connect bank of the SBI. It was in the year 1902 that the State bank of Saurashtra was started as Bhavnagar Darbar Bank. Bhavnnagar is one of the sovereign entity or princely states of the Saurashtra region of Gujarat. 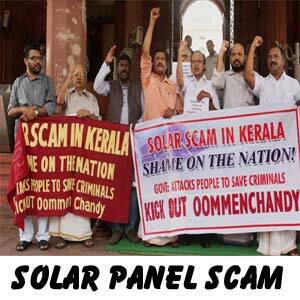 The popular Kerala Solar panel scam which took place in 2013 is another black mark to India. The Kerala solar panel scam was about swindling of a huge amount of money by an illicit solar energy company named Team Solar located in the state of Kerala in India. This scandal involved mainly two women who very conveniently established contacts. 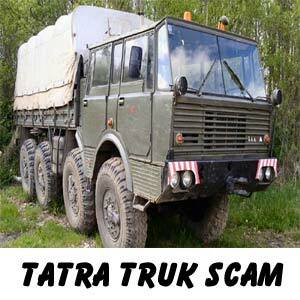 Tatra Trucks is another scam listed in the history of Independent India. The charge filed in the Tatra trucks scam is against some of the top officials of the Bharat Earth Movers Ltd (BEML) which is a defence public undertaking. Bharat Earth Movers Ltd ( BEML ) a Bengaluru-based public sector company that has a collaboration with Tatra Vectra Motors Ltd .
Abdul Karim Telgi from Belgaum in Karnataka is the main accused in the major Telgi scam which is worth more than 43,000 crores. The scam involved the printing and circulation of duplicate stamps and stamp papers. 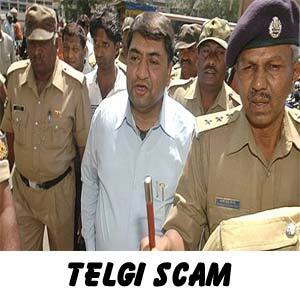 The Telgi scam also involves senior police officials and politicians who have aided Abdul Karim Telgi develop this multi crores business. 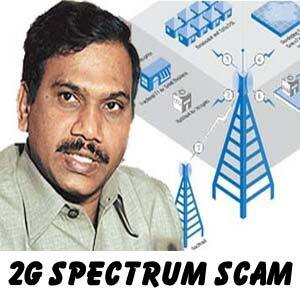 This is one among the biggest scam in the history of political India which involved politicians and government officials against law undercharging mobile telephone companies for frequency allocation licenses, which they would then use to create 2G spectrum subscriptions for cell phones. P.V. Prabhakar Rao, the youngest son of former Prime Minister P.V. Narasimha Rao has caused a major public disgrace or shame and especially at the time of his father's rise in the political career. The Enforcement department was however looking for the right evidence to file a charge sheet against him and was hunting for P.V. 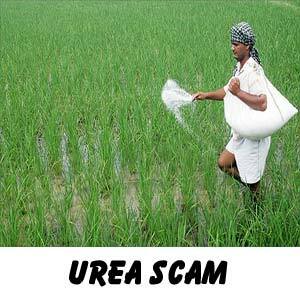 Prabhakar Rao for his illegal involvement in the Rs.133 crores urea scam in 1995. 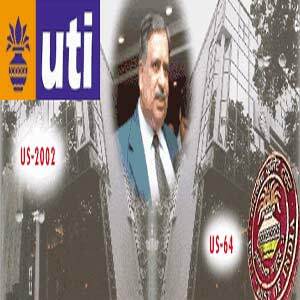 The Unit Scheme of 1964 which is more commonly referred in terms of US-64 of the Unit Trust of India faced and the investors of this cadre faced a major jolt in the year 1998 when they came to known certain issues through the media reports stating that things were seriously wrong with the mutual fund major. The US-64 scheme which was extremely doing good suddenly noticed depleting funds and vindication which was exceeding the sales.